Not sure what that is all about. was there a special character or accent in the url? Wondering if there is an error is being caused by some character mismatch related to that? Quite possibly. I removed accented characters from the name of the artist and the title of the song until it passed validation, but the title of the song still had two apostrophes in it. When you enter a search for a song that’s not on the database, you get sent to a 404/500 page instead of a “No songs found” sort of deal. 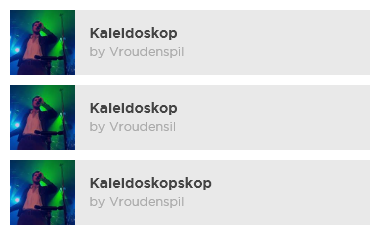 Submitted three songs today, but only one of them succeeded, and the other two broke. 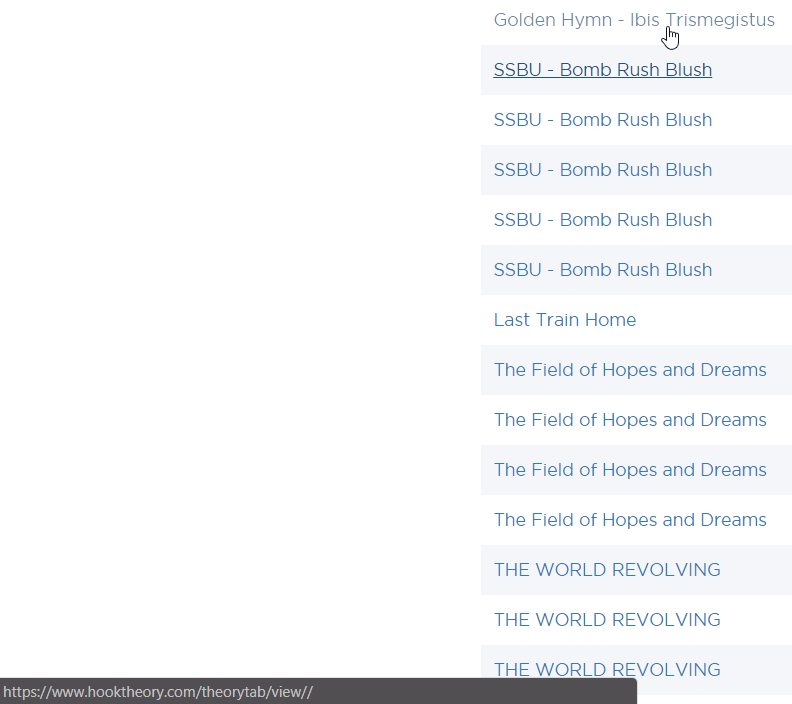 Also, the dates on the new Theorytabs chart are off when the respective Theorytabs were modified rather than created. Not sure what happened to that last tab I did and my profile page. Thanks, we’ll take a look. We recently updated to the newest version php and mysql and there are some known breaking changes. It’s possible this is one of the ones we missed. I hope this gets fixed soon, as I have a few more tabs waiting to be transferred. Thanks for reporting this. We have root caused, fixed, tested, and pushed an update. Yep. I checked my own profile and some other people’s profile too. Seems to have happened to everyone. Checked my own and the 404s are happening to me too. yep. Thanks I have identified the cause. A fix should be pushed live in the next day or so.